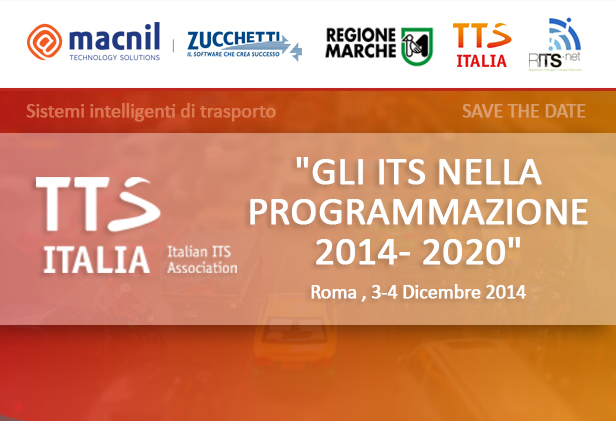 On 3 and 4 December Macnil has attended in Rome at the Conference “ITS in 2014-2020″, organized by TTS Italy and Marche Region. The goal of the conference was to put in place a time for discussion and knowledge of supply and demand regarding the issues that the municipalities, regional and metropolitan cities have entered into programming for the 2014-2020 period relative to the ITS sector. The new program will have to be consistent with the content and the priorities set out in the National ITS Action Plan which was adopted by the Ministry of Infrastructure and Transport last February 12 and which is the national reference for all actions, projects and initiatives in field of ITS for the next 5 years. 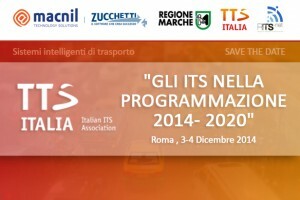 In particular, the day of December 4, entirely dedicated to the ROP, organized in close collaboration with the Marche Region and the European project RITS-NET (Regions for Intelligent Transport Solutions Network), whose objective was to plan and implement regional strategies mobility based on ITS. Furthermore regional representatives from Ireland, Spain, Bulgaria, Hungary, Greece, Latvia and Slovenia exhibited their action plans for the coming years the ITS. This inter-regional exchange it’s especially useful in advance of new calls from the European Fund for Regional Development. Click HERE to see the event program.